Systematisation and evaluation – Cultivate! In order to learn lessons from past activities, and build on the knowledge generated in them, the systematisation and evaluation of initiatives, programs and strategies is crucial. On the request of key networks in agroecology and food sovereignty, Cultivate! is undertaking various analyses. Janneke Bruil of Cultivate! 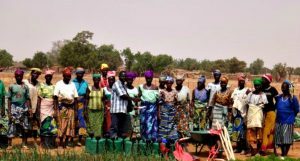 was invited by Groundswell International to evaluate their programme to enable small scale farmers and their families in the western Sahel, who have become chronically vulnerable to food and nutrition insecurity, to strengthen their resilience. Designed as a ‘proof of concept’ the programme demonstrated that agroecology can greatly enhance the resilience of the dryland farmers in the Sahel if integrated with explicit strategies to: 1) strengthen women’s empowerment in agriculture, 2) foster social equity, 3) integrate nutrition, 4) diversify women’s livelihoods through savings and credit, 4) improve local governance and 5) create a multiplier effect through networking and alliances with national farmer organisations, documentation, and advocacy. Together with local organisations, Cultivate! assessed to what extent this approach has promoted the resilience of dryland farmers and fostered a more favourable environment for it to spread. Read the final evaluation report. Together with Verona Groverman, Diana Quiroz of Cultivate! 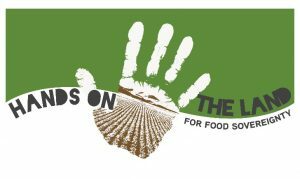 evaluated the Hands on the Land for Food Sovereignty campaign – a 3 year EC DEVCO-funded awareness raising campaign in Europe on the role of the European Union in natural resource politics worldwide. This is a collective campaign by 16 organisations, including peasants and social movements, development and environmental NGOs, human rights organisations and research activists in Europe. Specifically, HOTL4FS’ principal goal is to actively support radical (trans)national agrarian social organisations to strengthen the vision, visibility and impact of struggles, advocacy and campaigns for people’s democratic control over land, natural resources and territories. By employing participatory methods, the aim of this evaluation was to provide partners with systematised insight on the impact of the campaign over the course of its three years. The evaluation was finished in March 2018.